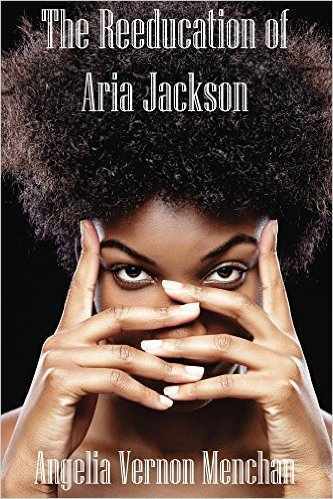 Aria Jackson returns home educated and bougie. Coming from a less than stellar environment, the educated Aria feels too good for the area and the people, with the exception of her mother. Instead of moving back into the old neighborhood, she takes a condo in a more chic part of town. Her job as VP takes priority over her life as she tries to set a standard of higher living for herself. Little does she know that the people she seemingly looks down on are more prosperous than she. Her mother, Helen gives her, the first lesson. The delectable Saul Rathborne gives her the second. Saul the brother of her childhood friend sees the woman she’s becoming and fights his temptation as best he could. When they both realize that they are fighting a losing battle, the journey begins. Aria gets the lesson of a lifetime. This novella like many others by the author was wonderfully written. Empowered people of color making changes and impacting the lives of those around them. This is definitely a lesson many educated hoods, should learn. Aria had been wearing Saul’s ring on her right hand for three months. They decided they were in the pre-engagement stage since they were dating less than a year but things were hot and heavy. Aria was still petrified by her feelings and the way Saul made her think and held her accountable. It was so easy to slip back into working and doing instead of loving and being. She was definitely a work in progress as Saul Rathbone’s Woman. Saul felt overwhelmed with feelings for Aria. His attraction to her started long before she was old enough for him to do anything about it but over the years when he saw her, her head and nose had been in the air and he left her to it and continued doing his thing. However, her moving back home and working changed the game. Seeing and interacting with her revealed all his feelings and hers. She was now his woman but the challenges had not let up. He wanted and needed her to be more than his woman, he needed her partnering, full force with the things that made him tick and he wanted that same kind of connection to what she did.